Ir seems that Europe can’t get enough Project X Zone. Or at least that’s what Namco Bandai thinks. They already released one demo today, titled “A Lethal Surprise,” in Europe’s Nintendo eShop. A second demo called “Dark Hours” is scheduled for release on June 27th, also a European exclusive. “A Lethal Surprise” plays out in the Sakura Wars universe. Namely, it takes place on the Imperial Theater stage. Some of the characters you’ll meet include Ulala from Space Channel 5, Devilotte from Cyberbots, Zephyl and Leanne from Resonance of Fate (if their trailer is to be believed), and a couple of characters from Valkyria Chronicles III. “Dark Hours” will move the setting over to the Ghosts ‘n Goblins universe. 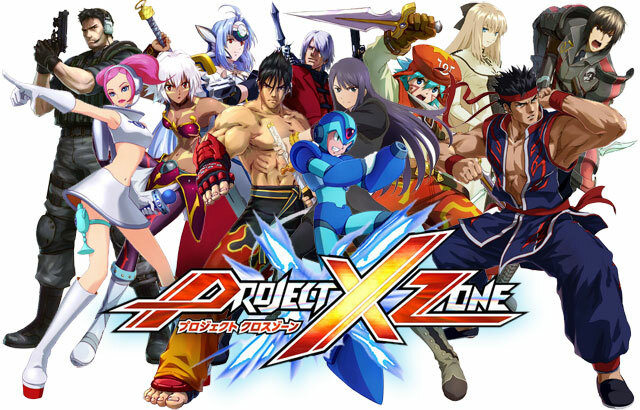 Project X Zone mashes the IPs of three companies – Sega, Capcom, and Namco Bandai – into one tactical role playing game. The game takes you across the various worlds where you meet its inhabitants and even use them in battle. In one world you might meet X and Zero from the Mega Man X series, while in another, you’ll meet KOS-MOS from the Xenosaga series. Each one will have unique attacks that harken back to the series they came from. Project X Zone will be released on July 5th in Europe. The Americas will get it on June 25th, a little over a week earlier.